The New Orleans Recreation Development (NORD) Commission approved Larry Barabino, Jr. as the new Chief Executive Officer (CEO) at a Commission meeting at City Hall on Tuesday (Dec. 4). The NORDC Executive Search Committee voted unanimously to recommend Barabino after a three-month search that included nearly 100 applicants and three finalists. The NORD Commission Executive Search Committee began the process in late July. Through a series of public meetings and listening sessions, they crafted a job description that described the search as seeking a collaborative visionary with strong communications skills and a heart for New Orleans to serve as our next Chief Executive Officer. A total of six public meetings were held, including the four listening sessions and a two-hour public forum with the three finalists. Throughout the listening sessions, generally both staff and the public indicated that they are eager for the next CEO to come in and move NORD forward. Under the new leadership, the department will work to reconnect with communities, re-engage the youth and families, raise the standard on the upkeep of the facilities, and offer new and innovative programs for youth, for adults, seniors and special-needs participants. In August, the search committee tapped AMcorp International in partnership with Thomas Consulting Group to orchestrate the search process. The firm used the job description to rank and score the initial 98 applications down to 29 candidates. The search committee then selected the top 15 candidates to advance as semifinalists. On Nov. 7, they selected three New Orleans natives — Barabino, Gavin C. Lewis, Sr., and Corey K. Wilson, J.D. — as finalists. Barabino earned a Bachelor of Arts in Psychology with a Minor in Biology. He is a certified welder and certified tax preparer. His previous experience includes having served as NORD CEO from 2006 to 2009, helping NORD recover from Hurricane Katrina. Under his leadership, NORD reopened 90 playgrounds or play spots and 10 swimming pools, and began 23 construction projects. Barabino returns to NORD leadership from the Housing Authority of New Orleans, where he manages a program for women- and minority-owned businesses. He is expected to take the helm at NORD on Dec. 17, 2018. 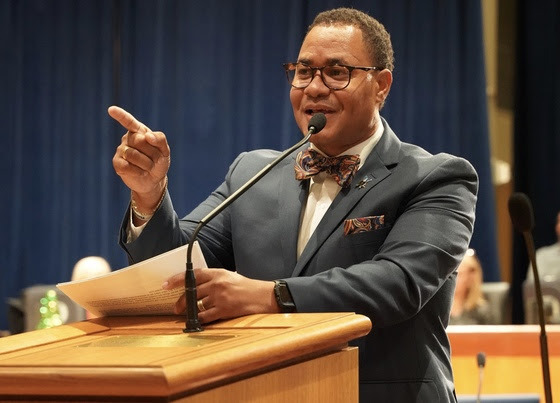 Barabino will oversee a budget of $13 million, with 131 full-time and 117 part-time staffers managing parks and facilities that serve 392,000 residents across New Orleans. Among his top priorities will be filling several open NORD positions, including Chief Programming Officer and Aquatics Director. Barabino pledged to improve facilities management and upkeep, engage leaders in the community, recruit more volunteer coaches, and improve programming. In his interview before the search committee, he stressed the value of volunteer coaches as mentors. Restored fountain unveiled in Coliseum Square Park (Photos) Want an insider’s look at the NOPD? Citizens Police Academy is taking applications.